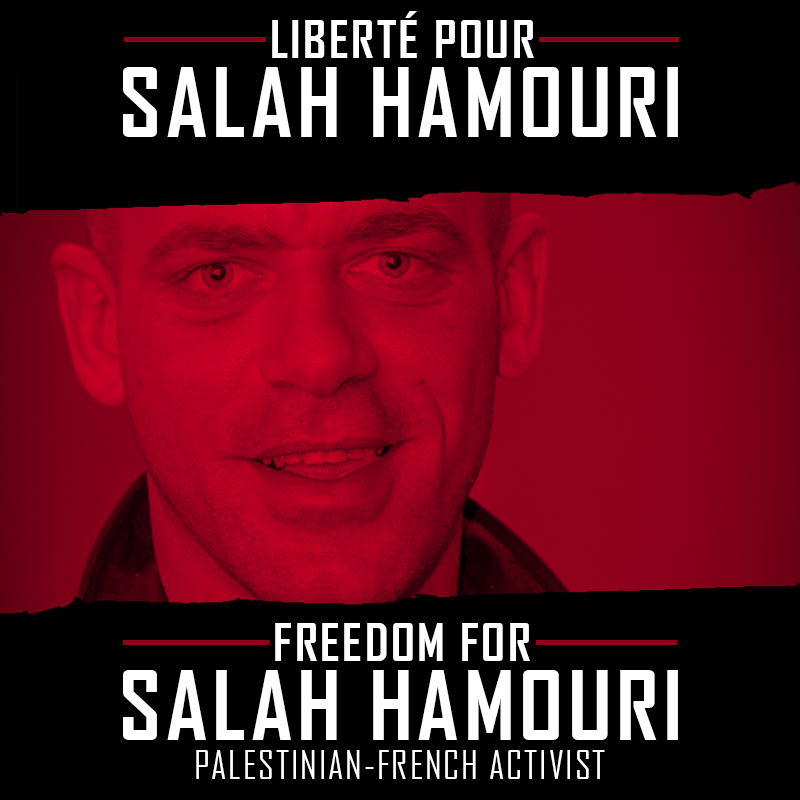 Addameer's field researcher and human rights defender Salah Hamouri, had his detention period extended by an Israeli judge at the Magistrate Court in Jerusalem for an additional three days for further interrogation. Addameer's attorney, Mahmoud Hassan, has submitted an appeal against the judge's decision to extend Hamouri's detention period. Hamouri, who was arrested by occupation forces in a pre-dawn raid on 23 August 2017, has been under interrogation for five days. As a lawyer and legal advocate working with Addameer, Hamouri continues to campaign daily for the rights and freedom of Palestinian political prisoners and the Palestinian people. Addameer Prisoner Support and Human Rights Association reiterates its call for Hamouri's immediate release, as his detention constitutes an attack on Palestinian human rights defenders.